If you were reading my blog in the past you probably noticed that on several occasions I mentioned inner fight in all human beings between rational and emotional mind. More or less we all 'suffer' from this conflict and this post is, again, going to be tailed by it. Okay, now, you read the title and already hinted about the content, so let's get to the story. But before diving into topic, let me start with a revelation and for the first time since I started this blog I think this very title finally would allow me to go more personal than usual. Actually, I decided to reveal everything about me in this post and finally you are about to learn who I am to the bone. Are you ready to read further? Great, with that said, for all of you who recognized the satire and the irony and for all of you who still don't know me more than before let's see and learn a little about history of astrology and talk a little abut other similar pseudosciences. To start with, I can't resist not to quote Sheldon Cooper when he was addressing Penny after she introduced herself in the very first episode of "The Big Bang Theory". She emphasized that being a Sagittarius should tell her new neighbors everything about her. He replied: "Yes - it tells us that you participate in the mass cultural delusion that the sun's apparent position relative to arbitrarily defined constellations at the time of your birth somehow affects your personality". But, really, did you meet somebody starting with a talk over horoscope before? Sure you did. It happened to me on several occasions in the past as well. The most memorable event happened about 15 years ago. Let me explain the background of the story first. The nineties in Serbia were very disturbing. The society was very poor and the country was governed by the dictatorship of one man and his entourage. You probably know everything about it as it was all in mass media for years and it lasted almost all last decade of the previous century and eventually ended with NATO war campaign for couple of months in the spring of 1999. The 'elite' ruled by false democracy and stayed on the top for a long time thanks to their supporters who were stealing elections each time. Once they went too far. During the elections in the year of 1996, people had enough and almost everybody went outside to vote. Faced with extremely large number of voters, this time they tried to forge official election material after voting hours and finally they were caught with their hands in the bag. The very next day, people spontaneously organized themselves and in peaceful demonstrations, for more than two months, they were going to main squares demanding for the truth. We were no exception, so my wife and I were going out almost everyday. One day we met very nice group of people, shared the same political backgrounds, talked about mutual interests and bonded on higher level of friendship. For several days we were meeting together on the square and then enjoyed pleasant talks in local coffee shops or indoors during small parties. After couple of days, all that failed apart the moment when one girl from the group asked me for my horoscope sign. - Scorpio. I said with obvious lack of enthusiasm. I had pretty good idea where this conversation could go next. - Sub-sign? She asked again. - What's that? I replied with a question. -You don't know your sub-sign? She asked rhetorically with small disappointment on her face. Then she asked me for my exact birthday to the hour and the minute. I told her and she started to calculate something in her head and small piece of paper and when all the 'math' has been done she finally discovered that my personality is not suitable anymore for any kind of friendship in the future. She never joined us again during the demonstrations and later. If you ask me, it is still unknown why that many people still live their lives in that big amount of shallowness and why they let all those 'astrologers' to mess with their mind. After all, this is exactly what they are doing. What they are writing on daily bases is surely written with enough sophistication in order to look significant and also always so vague so everybody can interpret it personally and easily embed in their surroundings. 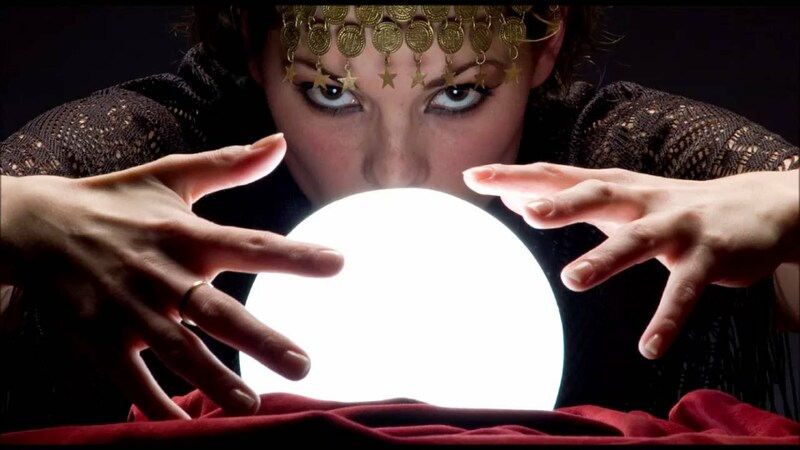 To debunk it is as easy as read couple of different 'predictions' in the same time. Let me show you - I will now type daily horoscope in Google and give you first four horoscope's for Scorpios at the top of search page. Remember that today is Sunday and one of first days of spring in northern hemisphere. 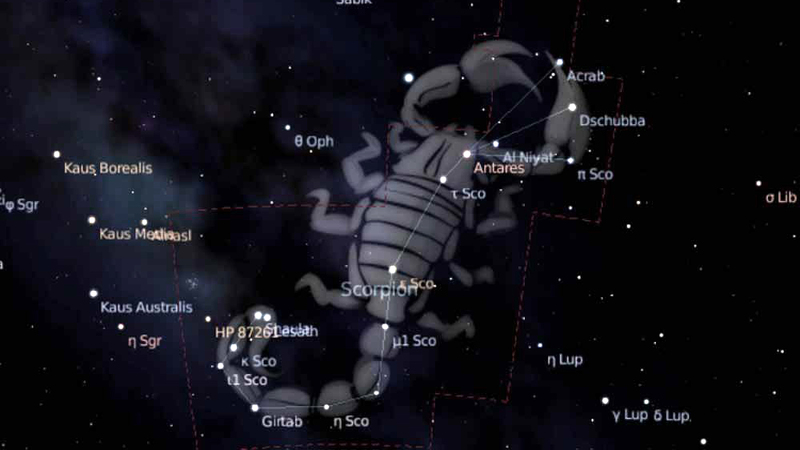 It could be that you see mirages, Scorpio, most notably in the environment around you. You may have the impression that people are lying to you or hiding something from you. Or it may be you're the one who lies about certain things or hides what you do. Interactions with others may be strained today as the stubborn Taurus Sun opposes cautious Saturn from the 7th House of Partners. You might think the smartest solution is to withdraw from social activities. There is absolutely nothing wrong with being giving and generous to the people you love -- after all, when you care about someone, you want to do things that show them how valuable they are to you. But today, your extravagant spirit could run the risk of putting your bank account in jeopardy! As life continues with its myriad of situations, up and downs and varied relationships, a cynicism can creep into our perception. Not only that all four daily predictions are vague but they are also completely different. However, I should consider myself lucky as within only two or so minutes of surfing and copy/pasting I learned about myself that I am delusional about people, potential liar, I am both generous with people I love but in the same time stranded by them who are for some reason lying to me and bringing cynicism in my life today. Not to mention that in the Sunday when all the banks are not working I need to be afraid for my bank account that is in some sort of jeopardy. I am sure that if astrologer, who made 'the bank account warning', had any chance to actually see the content of my current financial situation, he/she would never write something like this. There is literally nothing to put in jeopardy to. While I don't have full understanding of why astrology is so popular today I have pretty good idea how and why it came to life centuries ago. If we go back in fifteenth, sixteenth and seventeenth century we can see the western world full of conflicts everywhere you look. Religious animosities rising. Church in charge everywhere with all their dogmatic beliefs. Crusades and wars small and big every now and again. Free thinkers like Leonardo, Galileo or Kepler* were always in jeopardy for their lives when their thoughts conflicted the Church or powerful people. If we look to, for example, Kepler's life we know that he was not only the father of full understanding of planetary motion but also the famous astrologer of the time. Actually his primary job as imperial mathematician was to provide astrological advice to the emperor Rudolph II as well as to cast horoscopes for all the entourage in the castle. Of course royal horoscopes back then had to be more precise than today as the emperor hunger for royal prediction must have been more serious than the one requested by the lower stuff. To do that Kepler had to be familiar with all the affairs indoors and out in order to 'foretell' the future to the level to satisfy the king and also to keep his head on the shoulders. I am sure it was easy for Johannes Kepler being one of the greatest minds ever lived, but, let's get back to the past even further and try to understand the very origin of the astrology itself. 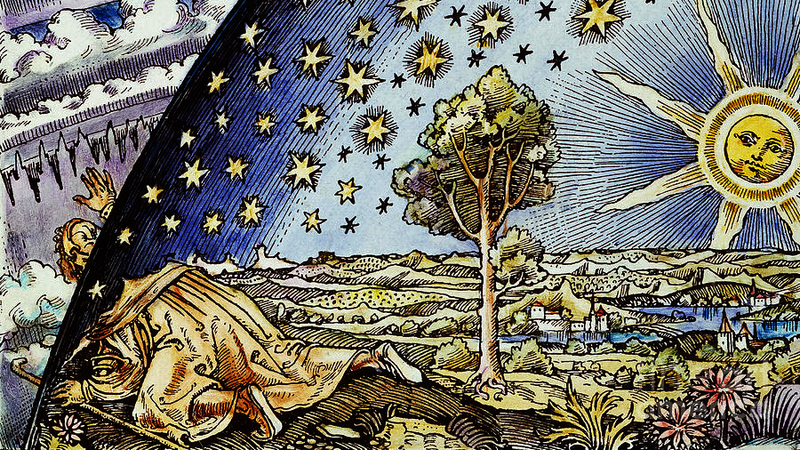 What exactly triggered the very connections between the stars and human personality? Let's close our eyes and try to imagine a world back then without electricity and mass media. The world when the night replaced the day, the only light was from the candles and fireplaces in cold stone houses. One and probably the only entertainment in the middle of the night with clear sky was starring above and hypnotically looking at the stars. Contrary to the present day, try to imagine the sky without light and all other pollution with thousands of stars shining from above. With all wonderful constellations and occasional meteor activities. Everybody knew that stars was fixed to the heaven and no matter when you are looking, considering the time of the year, you would be able to easily find them in their homes along with other stars forming well known constellation. All stars relatively fixed and only couple of them behaving completely erratically. Those stars was literally flying the heavens in their own paths and moved from one constellation to another. They were mysterious and objects of many tales. They are used to describe, for example, wars, especially the one always shining with reddish/bloodish glow. There are also two of them always accompanying the Sun and one of them so bright expiring the poets more than others. There are more including one so big and shining better than any stars always related to the god home itself. We now know that those stars are not stars at all, but other planets in our Solar system, just like our own Earth. They got names, conveniently inspired by the old stories. We now know them as Mercury and Venus, Mars and Jupiter, Saturn and two the distant ones named Neptune and Uranus. The moment they got their names and when astronomers finally found the whole truth about active heavens and completed the knowledge of the Solar system and it's 3d geometry it was simply used by others who's intentions are nothing more than fortune and glory. Let's face it, it is in our nature to deceive. We are humans after all. Before we did it to survive. Today to make money. People simply take the world around them for granted with no much thoughts given and therefore make themselves easy targets. With mass media today even easier. The cruel fact is that one word repeated enough number of times automatically becomes the ultimate truth. Luckily, there is other side of the medal. The little thing called science is fully capable to debunk all the fairy tales and obsessions such as astrology itself. Maybe the best job in the field of myth-basters, bloggers and scientists who are actively debunking bad science, is made by Bad Astronomer, Phil Plait** in his blog post about Astrology and also in his book "Bad Astronomy: Misconceptions and Misuses Revealed, from Astrology to the Moon Landing 'Hoax'" which I highly recommend. Please find the link bellow, but in the nutshell the science still didn't recognize any known force or property capable to affect human beings from the distant planets or stars. Neither gravity nor electromagnetism are capable to affect other objects from great distances. The only object close enough to do it is the Moon with its gravity strong enough to create all the tidal effect on Earth. Strangely, astrologers don't like the Moon at all. They based all the 'science' behind on too far away objects. Not even Sun is dominating in astrological predictions even though this is the only star capable to harm our planet electromagnetically speaking. The remaining two nuclear forces are only valid within its realm of subatomic particles so the astrologer's only hope is for science to find something more. Even if there is some fifth force or something entirely new and unknown that would reveal itself in the future I am sure it is at least unfair to use it to create mass cultural delusion like 'Dr. Cooper***' defined it in the first place. In addition to astrology, I wanted to touch in this post other pseudosciences like affects of underground water flows to humans above and finding these flows with sinkers and other plumb line devices. There are people claiming that their bodies can feel these water flows and successfully find them with amazing accuracy. To be honest, even though that human body is a large conductor when it comes to radio waves and it easily alters the field when it's close to transmitter or receiver or in this case the field created by underground water, be careful as there is no valid scientific research on relations between the two. Especially if somebody is asking money to 'examine' your home. Years ago I tested two people with these kind of 'abilities' and after they 'thoroughly' examined our house their findings was completely different. Actually they didn't match on a single flow even though they did it within two or so weeks. I doubt underground moving waters change the direction that often or even at all. Similar to this, there are other 'internet-wide disciplines' that can easily be sorted in the same 'pseudosciences' basket, like all those where some electronic device oscillating on some exact frequency are 'capable' to alter some bio-energy of ours and heal diseases like cancer or any kind of immunodeficiency. All those 'medical' alternative treatments are far away from any scientific research or at least any valid human trials and heavily depend on placebo effect or recognized ability of human mind to heal it's body only by knowing that it is under successful prescribed treatment no matter what the treatment is, even though if there is no treatment at all. However, this post is getting too long for my taste so let's get back to the title and conclude that astrology is just wrong, from many levels. It's the bad science and it should be avoidable in big circles. It is messing with people's mind. That's all. It belong to pseudosciences and I will quote first sentence from the Wikipedia****: "Pseudoscience is a claim, belief, or practice which is presented as scientific, but does not adhere to a valid scientific method, lacks supporting evidence or plausibility, cannot be reliably tested, or otherwise lacks scientific status." I have no further to add related to astrology. Please forget that I am Scorpio either. It means nothing at all, except that my birthday is between October 23 and November 21.